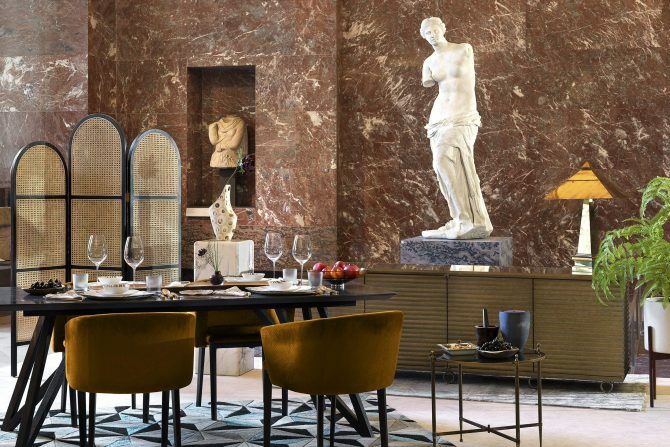 Imagine having Mona Lisa and the Venus de Milo as your dinner hosts, and then going to bed under the stars of the Parisian night sky. 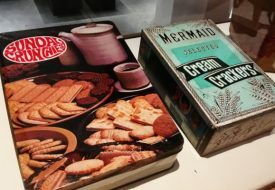 For two lucky people, that amazing fantasy can become reality. 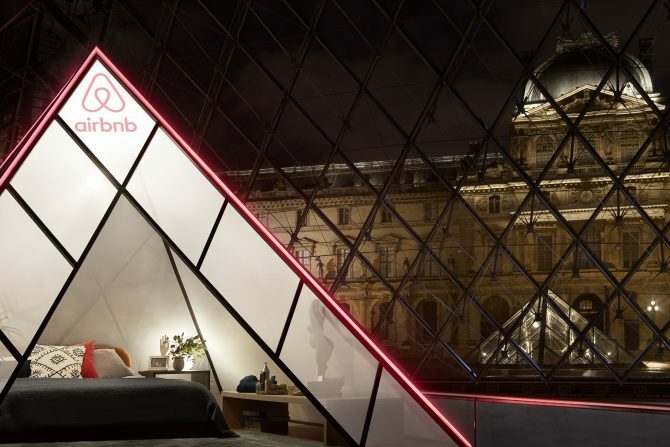 Airbnb has teamed up with the Louvre Museum to organise a sleepover contest in which the winner and their guest can spend the night of 30 April at the world-famous art museum. 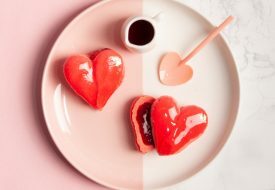 It’s the latest edition of Airbnb’s popular “Night At” contest series, which has made possible overnight stays at iconic places all over the world, from the Great Barrier Reef to Brazil’s Maracanã football stadium. Making the Louvre home for a night might just be one of our favourite experiences that Airbnb is offering. 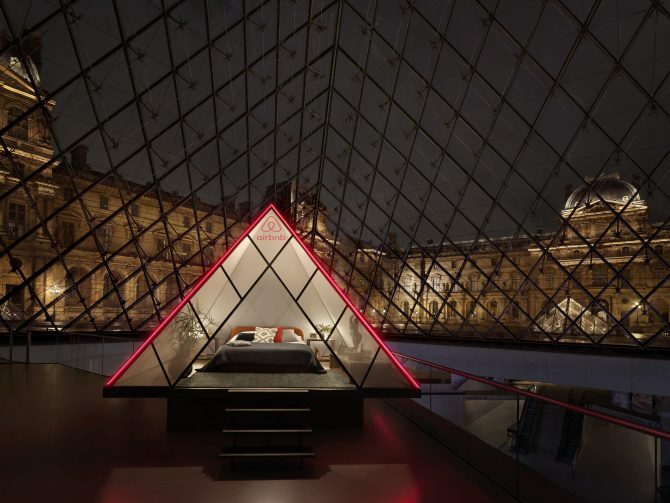 The guests will stay the night inside the Louvre’s stunning glass Pyramid, in a mini-pyramid “bedroom” that will be specially designed to celebrate the 30th anniversary of the museum’s famous main entrance. The room looks a perfect mix of luxurious and cosy, but best of all, the guests can enjoy the beautiful view of the Louvre and the Parisian sky above them. What a magical sight to sleep and wake up to! Before hitting the hay, the winning duo will be treated to an unforgettable evening of art, music, French food and drinks around the museum. If you love art, do not miss this chance of a lifetime to take a bespoke and private tour of the Louvre, similar to the tours given to world leaders and A-list celebs. Just for the night of 30 April, the rooms in the Louvre will be transformed into an elegant and modern home, complete with lush furnishings. 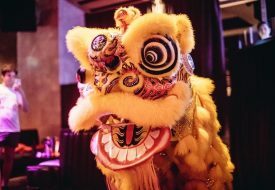 Some of the museum’s most renowned masterpieces become the “hosts” for the incredible night. 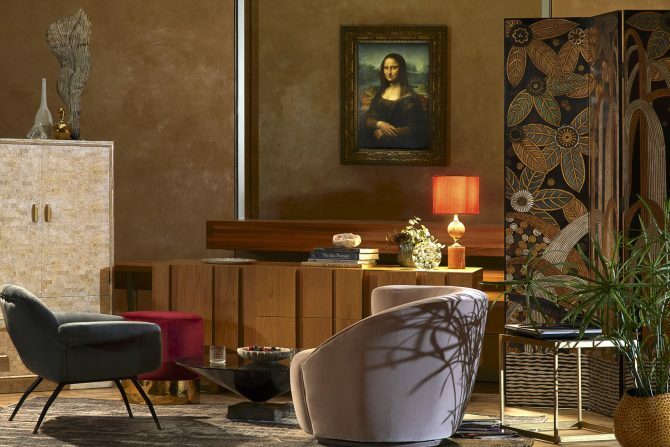 Mona Lisa herself will entertain the guests with a Renaissance-inspired aperitif and relaxing French music, before Venus de Milo takes over for an indulgent dinner feast. For entertainment, the guests will head to Napoleon III’s grand Apartments and kick back while enjoying a private acoustic concert. So, how does one win this amazing experience? Enter the contest now on the Airbnb website! Get ready your best answer in 800 characters to this question: “Why would you be Mona Lisa’s perfect guest?” Contest ends on 11:59pm, 12 April, Central European Time (6:59am, 13 April, Singapore Time), so don’t wait long to participate.